Japan, after suffering from a massive irreparable disaster, cuts itself off from the world. Children are so weak they can barely stand or walk: the only people with any get-go are the elderly. Mumei lives with his grandfather Yoshiro, who worries about him constantly. They carry on a day-to-day routine in what could be viewed as a post-Fukushima time, with all the children born ancient--frail and gray-haired, yet incredibly compassionate and wise. Mumei may be enfeebled and feverish, but he is a beacon of hope, full of wit and free of self-pity and pessimism. Yoshiro concentrates on nourishing Mumei, a strangely wonderful boy who offers "the beauty of the time that is yet to come." 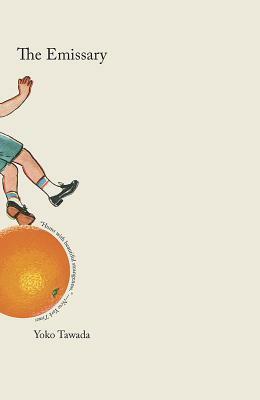 A delightful, irrepressibly funny book, The Emissary is filled with light. Yoko Tawada, deftly turning inside-out "the curse," defies gravity and creates a playful joyous novel out of a dystopian one, with a legerdemain uniquely her own.